Henry’s Hard Sparkling Water Has a Fresh New Look, No Sugar and Lower Calories. … Henry’s Hard Sparkling Water is a lightly fruit flavored hard sparkling water with bright effervescence and crystal-clear appearance. Henry’s Sparkling Lemon/Lime – It’s light and refreshing, with a pleasant citrus aroma highlighted by notes of lime and lemon zest for just a hint of tart and sweet flavor. 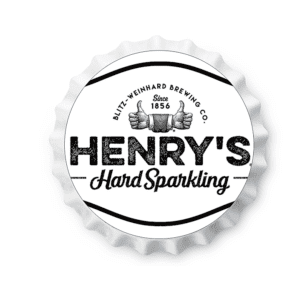 Henry’s Sparkling Variety Pack –12pk / 12 fl oz Bottles- This mix pack includes 3 flavors of Henry’s Hard Sparkling in 12 oz. cans: Lemon Lime, Passion Fruit and Strawberry Kiwi. All three flavors have less than 95 calories and less than 3 carbs.